Purchasing a property in the Philippines when you are working abroad can be intimidating at first, and we won’t blame you if you think that way. But get it from us, there are ways now of how you can purchase a property even if you’re abroad. From property search to viewing to sending payment we could assist you. Of course, you won’t let your hard-earned money to just go to waste. Just like you, we don’t want that to happen too. That’s why PhilRealty Global are here to give you guide on your property acquisition journey and give you options that will give your money’s worth. For this article, we’ll be focusing on the south of Manila, so we can lessen your time of searching the best location for your new or next property to buy. You can also find , house for sale in Sta. Rosa Laguna later included in this post, which is now being eyed as the “Makati of the South”. We believe that this place is already the next big thing in the Philippines, the convenience of Makati yet the greenery and rustic feel of the country side will be experienced here. It is also very accessible, 1 hr to Makati/Manila and just 30 to 45 minutes drive to Tagaytay when you want to chill. Major schools in Nuvali will also be a minute drive away from your home. 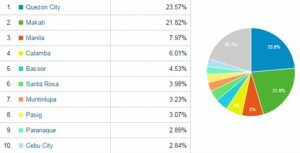 The graph below shows the percentage of our queries from National Capital Region wanting to have a property in the south, major search term is Nuvali Sta. Rosa. The population of Santa Rosa is fast-growing with an intercensal growth rate of 7% from 1990 to 1995, repeated and more in subsequent decades (except for 2007 to 2010 census). The main language isFilipino, which is based on Tagalog. In addition, due to continuous development of the city, English language is used in education, business and information technology. Major commercialbanks in the Philippines operate in the city. At this time, there are 68 banking institutions that offers banking services to businesses and residents. Most of these are concentrated in Barangay Balibago, Don Jose, Macabling, Pulong Santa Cruz, Santo Domingo and Tagapo. Modernshopping malls are scattered in the city. Here are the list of the city’s shopping malls and community malls. Here at South Forbes, you can travel without riding a plane! It has different subdivisions with different cities as their themes! What a brilliant idea right? It has The Villas which brings you to the Mediterranean, Bali Mansions to Indonesia, Phuket Mansions to Thailand, Tokyo Mansions to Japan, etc. etc. If you love traveling this development is perfect for you! South Forbes offers lot and house and lot packages. Buy Brand New House Near Nuvali! Buy this 3 bedroom house! We are pretty sure that you have heard about Nuvali one way or another. Nuvali’s developer is Ayala Land which we all know is one of the best developers in our country right now. Anything Ayala, we can be assured that they deliver on what they promise. Nuvali is an eco-friendly, self-sustainable community. We can say that, this is the future. It is also known for its parks and commercial areas where everything (literally) that you need is found from salons, grocery, mobile shops, retail area, restaurants are everywhere. 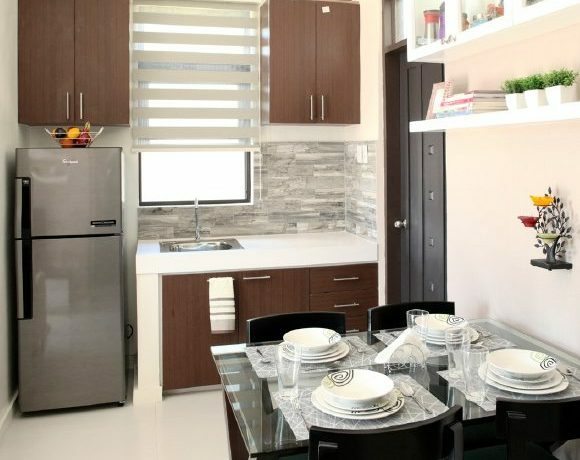 What is so nice about Nuvali is that it gives you your needs holistically. It provides bike and jogging pathways for those who have an active lifestyle. Inside Nuvali is a wakeboarding park where you can stretch your muscles and test your balance. You may never want to leave this place once you’re here! You may think that it’s an Ayala and “I may not be able to afford it”, Nuvali actually has good options for everybody! They now offer affordable house and lot for sale packages for Avida projects and of course there are also mid to high end ones for Alveo and Ayala Premier. 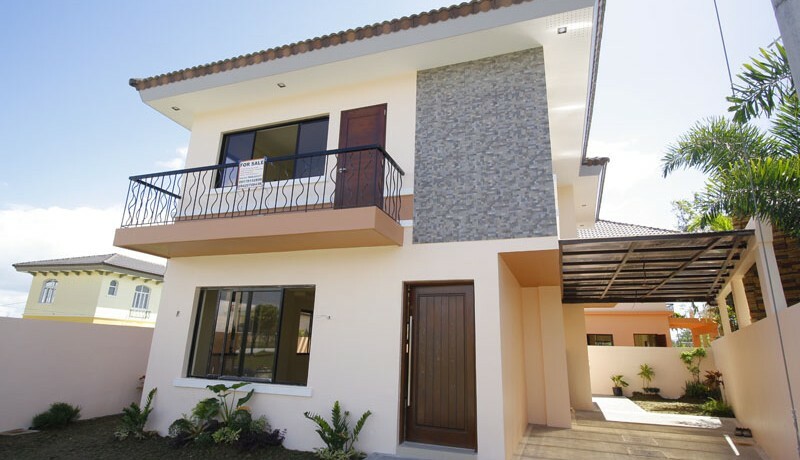 The most affordable house in nuvali is around Php 5-7M, an Avida project. 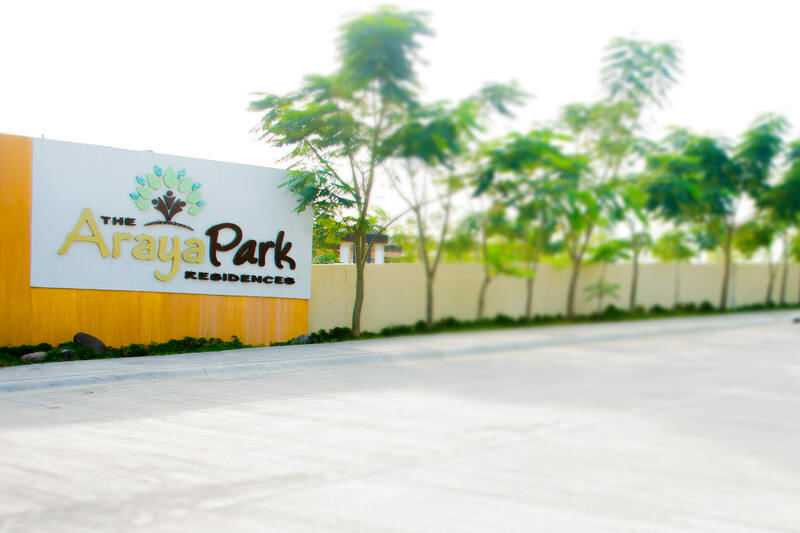 This is a very good deal given a very good quality of living Nuvali is offering. Araya is located at Brgy. Tagapo, Sta. Rosa City which offers 2-3BR house and lot packages. As an OFW, it is more safe to invest in a ready built home as to a lot only and then having your house built while you are away. With RFO house, you already know exactly how your purchased property would look like even before you decide. A plus for Araya is that its 3 model houses are solar powered! Talk about being environmental friendly and being sustainable. Buy Affordable house for OFW! For more details on any of these projects, please do not hesitate to call or email us. We will also gladly accompany you for site viewing at your most convenient time. Thank you and hope to hear from you very soon! You can find more information about Sta. Rosa City here.